A cancer survivor, Whitfield is a volunteer for the Leukemia & Lymphoma Society. Peter Whitfield believes one of the most important duties of a CFO is to put people in position to succeed. Whitfield says the members of his finance team are not “supposed to be just scorekeepers.” He focused on bringing value to the organization. “Too often, entities chase the top line. If there is top line growth with little to no increase in profit, then all we achieved was working harder to get to the same place,” he says. Whitfield joined American Systems, a government IT and engineering solutions provider, in 2015. It is one of the 100 largest employee-owned companies in the U.S. with about 1,200 employees nationwide. Whitfield says that his greatest accomplishment to date has been helping to improve value of shares in the company’s employee stock ownership plan (ESOP). Company CEO Peter Smith sees Whitfield’s biggest strength as his concern for fellow employees, the company, its clients and the community. “He manages to balance the needs and concerns of those many constituents well, creating win-win outcomes across the board,” Smith says. Whitfield’s financial discipline combined with a long-term strategy has “enabled us to achieve record profit and positions us well for the future,” the CEO says. Helping others means a great deal to Whitfield. A cancer survivor, he volunteers with the Leukemia & Lymphoma Society’s Light the Night campaign and last year joined the National Capital Area Chapter’s Executive Committee. The committee is charged with growing the number of companies involved with funding a cure for cancer. 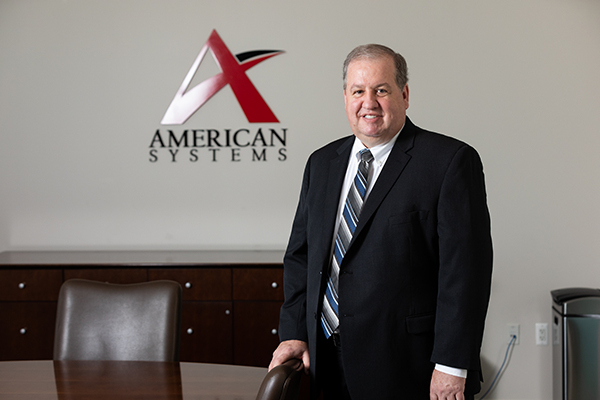 Just two months after joining American Systems, Whitfield led the company’s acquisition of EM Business Holdings, a 160-person Arlington-based provider of engineering, IT and professional services. His ability to see and communicate the big picture has been instrumental in fostering a “great deal of change in a short period of time,” says Chris Carson, audit partner at Assurance Services, BDO.